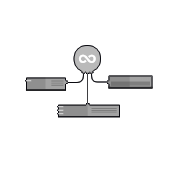 Features, specifications and hardware requirements for the Clusterlogics platform (Hosted and Self Hosted). Ideal due to the ease of management and reduced costs. 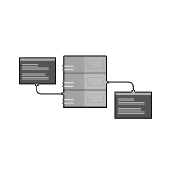 Utilize our hosted infrastructure and access our Director (control server) and our Cloud Based GUI to manage your backups, snapshots and big data (coming soon). Backup your Servers and Virtual Machines to your own Storage Devices or to our Cloud Storage Infrastructure. Simple point and click functionality. 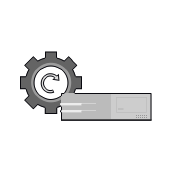 Everything Auto-Installs via the Clusterlogics GUI including Storage Devices, along with Linux and Windows Servers you are backing up. 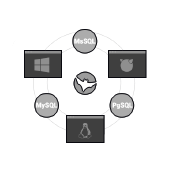 Support for practically every operating system including Windows, Linux and Free BSD, multiple database platforms including MS SQL, PgSQL, MongoDB and MySQL. Backup MySQL using native MySQL Dump and/or Percona no impact Xtrabackup. Backup your Microsoft Exchange users and provide your users full PST files they can use to restore their Outlook in case of disaster to their laptops/workstations. In case of disaster, initiate a Bare Metal Restore (BMR) of your Server or Virtual Machine and restore it to a last known good system state. No more expensive proprietary hardware! Use any server with Red Hat/CentOS loaded as a Storage Device. Build your storage devices on inexpensive commodity hardware and high capacity SATA drives. Add as many storage devices as required without additional costs. 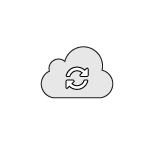 Want to use our Cloud Storage as your primary or secondary backup location? Not a problem, we provide a low per GB fee for our Cloud Storage option. Disk: Dependent heavily on what you are backing up, although good quality, high capacity SATA drives work just fine. We prefer Enterprise grades drives in a hardware raid (with BBU), although software raid will work, it depends heavily on your environment. Regardless, when configuring raid, we strongly recommend RAID1/6/10/60. We require customers present one partition per Storage Daemon for backup volumes. Although ext3 will function, we prefer xfs or ext4 for increased performance. Furthermore, it’s also important that customers have enough space allocated to the partition storing the working directory for the SD. For many, this path will be located on the / partition, as the full path to the default working directory is /opt/clusterlogics/working/. The partition storing the working directory needs to have at least 10GB available for this folder’s temporary working files, perhaps more depending on the number of jobs running on your SD at a given time. If this is not the case, the Clusterlogics SD working directory can be altered. For larger installs and greater control. Install our Director (control server) and GUI services on your own infrastructure at your own location or data center. Backup your Servers and Virtual Machines to your own Storage Devices. Simple point and click functionality. 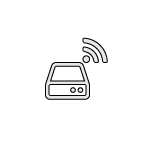 Everything Auto-Installs via the Clusterlogics GUI including Storage Devices, along with Linux and Windows Servers you are backing up. No more expensive proprietary hardware. Install the entire Bacula4 Application Stack and GUI on any commodity hardware with RHEL/CentOS installed. Use any server with Red Hat/CentOS loaded as a Storage Device. Build your storage devices on inexpensive commodity hardware and high capacity SATA drives. Add as many storage devices as required without additional costs. Want to use our Cloud Storage as your primary or secondary backup location? not a problem, we provide a low per GB fee for our Cloud Storage option. CPU: Any modern single dual core, or quad core (preferred) will suffice. We require customers present one partition per Storage Daemon for backup volumes. Although ext3 will function, we prefer xfs or ext4 for increased performance. Furthermore, it’s also important that customers have enough space allocated to the partition storing the working directory for the SD. For many, this path will be located on the / partition, as the full path to the default working directory is /opt/clusterlogics/working/. The partition storing the working directory needs to have at least 10GB available for this folder’s temporary working files, perhaps more depending on the number of jobs running on your SD at a given time. If this is not the case, the SD working directory can be altered.